We are surprised that we have not seen official Hunger Games costumes, and it is forcing everyone to continue to get creative in creating their own costumes. Also, in the description it says “Perfect to wear when you’re competing on reality television or just practicing your archery.” Hmmm…do does that sound like? What do you think? 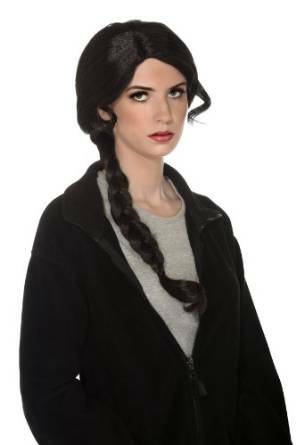 Would this be a a good wig to wear for a Katniss costume? It is reasonably priced at only $10.70 plus free Prime Shipping.